It’s the last week of 2011. That means both of the Slatebreakers have left Arizona for the freezing cold of Wisconsin and Michigan, that most of us are celebrating a range of holidays with our family members, that we’re preparing our resolutions and getting geared up for Newbery/Printz season. It also means it’s time for best-of lists to hit the blogosphere. We love reading these lists, and couldn’t pass up the opportunity to create our own. So we sat down together and figured out our collective top ten titles (five each) from 2011, both for middle grade and young adult books. Today we’ll be sharing our middle grade lists, Thursday will represent YA. We can’t wait to hear your thoughts in the comments! Because it’s a split list, and because we simply couldn’t decide, these books are presented in alphabetical order, rather than a ranking. But trust us – any of these then books is well worth a read before 2012 arrives! This book truly surprised me. A story about divorce with some magical elements, Rebecca’s story is painful, powerful and an overall great read. The raw emotions come through, sure, but we aren’t left devastated at the end of the book either. This is a story about hard things that happen, and how we get through them. I LOVED this book, and since I didn’t get the chance to review it on the blog, I have a lot to say about it. 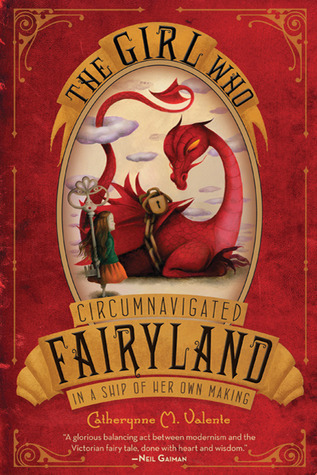 September is a thoughtful, resilient, remarkable character, and the matter-of-fact quality to her magical adventure made for an incredibly delightful read. 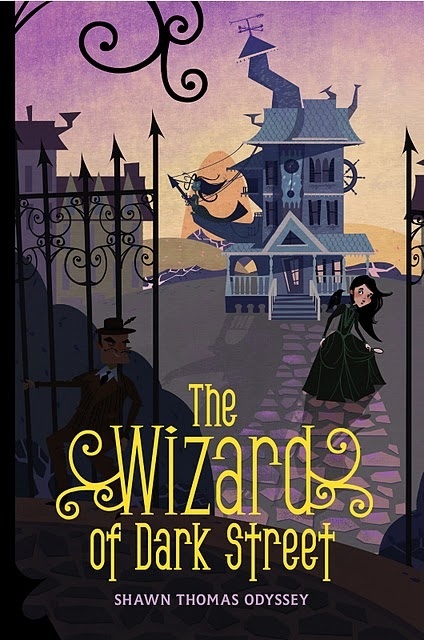 There are clearly referential elements to other, famous fantasies (obviously The Wizard of Oz in particular), but it’s also a wholly new story, that I think has the potential to become a classic fantasy in its own right. Plus, how can you not be in love with that gorgeous cover? Truly one of my favorite books of the year, with its elegant verse, captivating characters and enrapturing story. 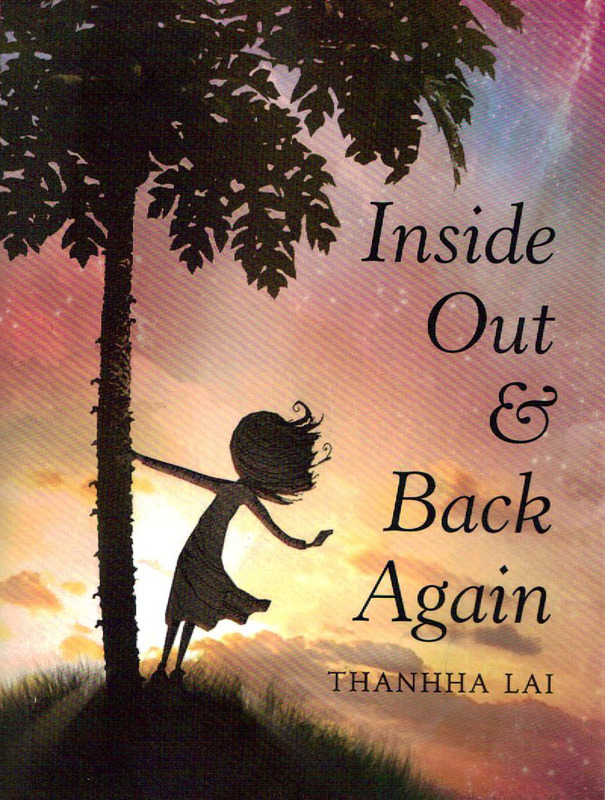 Há’s story is told beautifully and simply – with very few words, Lai captures not only the uniqueness of this character, but a sense of the two completely different worlds she experiences throughout the narrative. Another book about magic, but this one takes an entirely different (and very British) approach. I was sold from the first line “I was twelve years of age when I chopped off my hair, dressed as a boy, and set off to save my family from impending ruin. I made it almost to the end of my front garden.” Who doesn’t want to keep reading? 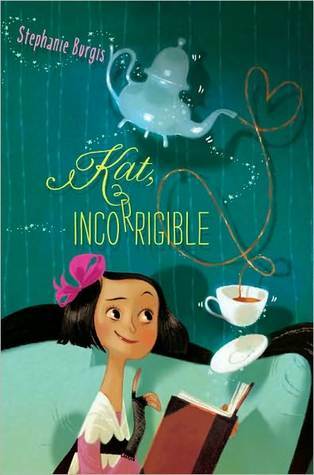 Kat and her sisters are eminently likeable, the villains are appropriately villainous and the book doesn’t get so distracted by the magical happenings to neglect to include plenty of early 19th century England details. There’s so many good things to say about Jennifer Holm, and so many of them have been said that it seems almost redundant when writing reviews. But this book, a standalone sequel (itself a challenge, impressively met) is remarkably good. 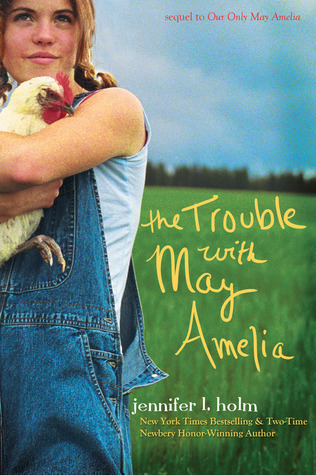 May Amelia is one of my favorite characters in kidlit and the deft way Holm navigates the historical backdrop and complicated family dynamics surrounding here make for a fabulous read. Candance Fleming has written some of my favorite picture books (such as Muncha! Muncha! Muncha!) and I was delighted to learn this year that she also writes terrific biographies. I have long held a fascination with Amelia Earhart, and Fleming’s biography of the aviation icon only deepened my interest. 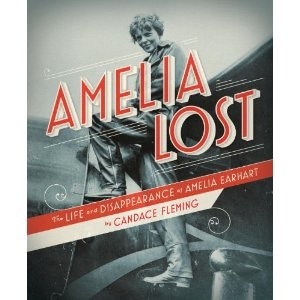 The strongest feature of this book is its impeccable structure, in which Fleming alternates the chronological narrative of Amelia’s life with a variety of compelling perspectives on her disappearance. This is my top pick for the Newbery Medal. My fingers are crossed! 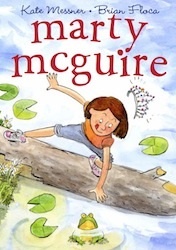 Marty McGuire might be my favorite new character to hit the children’s literature scene. She is super smart and ready for action, and her misadventures are simultaneously hilarious and touching. 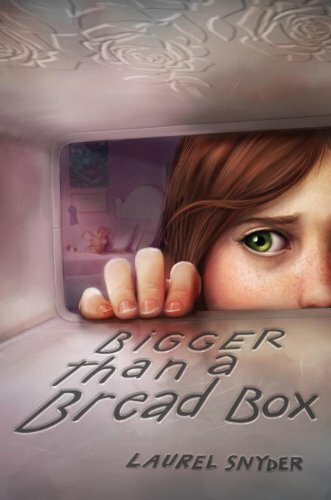 For an “easy reader” beginning chapter book, Marty McGuire achieves surprising depth in exploring the gender politics of elementary school. 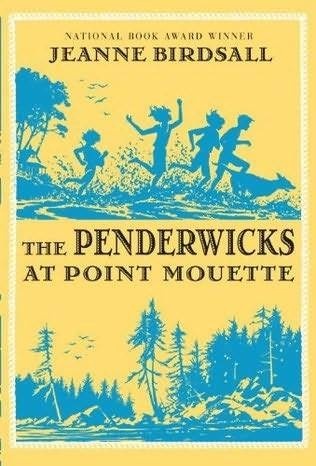 The Penderwick sisters are back and they are AMAZING, as always. This time, the adults are off honeymooning and Rosalind is on a trip, leaving Skye as the Oldest Available Penderwick for a summer trip to the shore. Hijinks ensue. (When don’t they, with the Penderwicks?) This was one of my most “readable” books of the year, and by that I mean that it just felt so natural to curl up with this book and laugh and cry along with this amazing family. Just the right blend of magical and mysterious. Dark Street is a fantastical world that has elements of Victorian London, NYC, Hogwarts, and Las Vegas. Oona Crate is a heroine with lots of Slatebreaking potential, and I hope that Odyssey has plans to write more about her in the future. I didn’t think that I would include this one in my top 5, but it has really stuck with me. This book kept me pondering long after I closed the covers and returned it to the library. 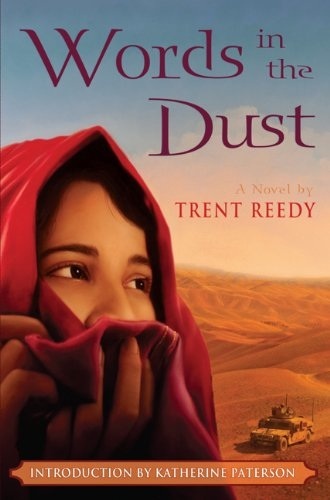 Reedy gives his readers a lot to think about in this study of life from an Afghan girl’s perspective. Your heart will be broken and then set afire after reading this novel. This entry was posted in Middle Grade, Miscellaneous and tagged Best of 2011, Lists. Bookmark the permalink. Thank you for the list. I see several here that I think will be a big hit with my 11 year old. That’s great! You’ll have to let us know which ones she reads / what you both think of them!